When talk at the Tiki-bar at the marina turns to piracy, most people envision acts of waterborne skulduggery and Johnny Depp. Black Beard might not be a threat to your boat, but that doesn’t mean you shouldn’t take precautions to protect it. Boat theft is on the rise and while you can’t park yourself on a chair on your deck with a shotgun, there are precautions you can take to reduce the chances of your boat becoming a target for thieves. 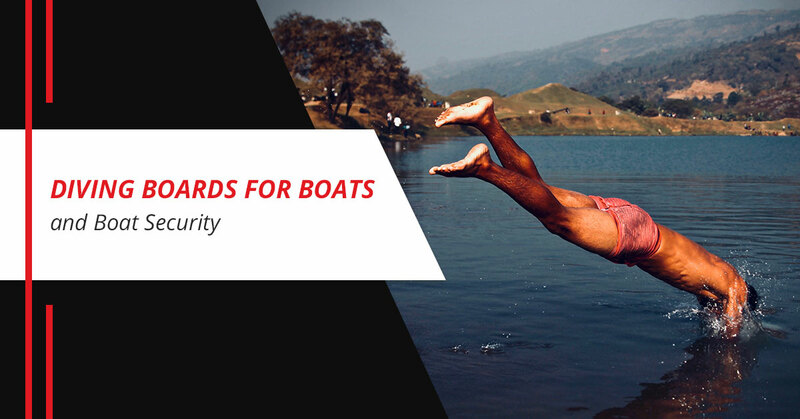 Lillipad Marine, your source for diving boards for boats, offers a few tips that will help keep your boat safe. The first thing you want to do to help protect your boat from thieves is to invest in a security system. We are enjoying an age of technology and it suits you well to take advantage of what companies have to offer in terms of security. There is a wide variety of monitoring systems on the market that are easy to install and relatively inexpensive. They are downright cheap when compared to what you can lose in the event of a boat break-in. Depending on how much you want to spend, security systems for boats range from the very simple to the incredibly complex. Many systems rely on cellular networks and can track the location of your boat anywhere on the planet. Walk a mile in a thief’s shoes to get an idea of how they think. Walk up and down the dock and decide which boat you would break into and why. You might choose the one most hidden by darkness or the one that looks like not all of the hatches are secured. Then take a look at the boats you would never choose to break into. For example, you are far less likely to attempt to break into a boat that is well-lit and looks secure. Boats that are not secured to the dock are an easy target for thieves as they are easy to hitch up and tow away. Use a steel cable to secure your boat to the dock. Not all thieves want your boat, many are happy just to swipe your engine. By securing your motor to your boat, you can prevent the theft of one of the more expensive components of your boat. You can take this a step further and immobilize your engine. There are systems you can purchase that locks and unlocks your boat engine with a push of the button. Boat watch is a form of neighborhood watch for people with boats. It involves everything from the patrolling of local waters to the exchange of information with the proper authorities. You can find out if such an organization exists in your area. There are video kits you can get in which you can monitor your boat from an app on your smartphone. If you want to avoid becoming a victim of theft, you need to be proactive. If you want a diving board for your boat, you need to contact Lillipad Marine.